The propellers are completely cover the exposed motor shafts – this allows them to protect the shafts on upside down landings (crashes). Earlier Hubsan X4 H107L models needed the “straw” modification to help with the problem of premature motor destruction. The feet or landing pods are made of a softer rubber-like material which allows more shock resistance on hard landings or crashes. LED’s have been added at the end of each of the quads arms. An optional propeller guard is sold which is ideal for inside use and beginners. I could not sense any difference between the newer and older Hubsan X4 H107L‘s when it comes to its flying manners. This quadcopters are a bit difficult and can be challenging for first-time flyers. However, if you read on you may find that the X4 H107L now can make a decent first quad for many beginners. This quadcopter is much sturdier than the older one. Many of these crashes might have caused damage to the original model, but the X4 H107L keeps flying. Hovering – The Hubsan X4 H107L does not like to stand still, so it might seem difficult to keep it at a stable height. It requires constant user input to make sure it is headed in the proper direction. 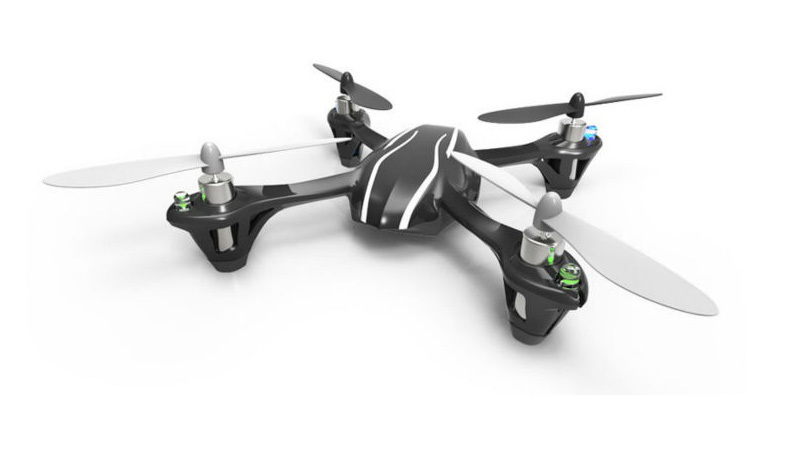 It is a very active quadcopter with advanced technology in a small package. The Hubsan X4 H107L could make fine first quadcopter. It’s fairly easy to fly the Hubsan X4 H107L in any room larger than about 12 feet square. No quadcopter can take repeated hard crashing and, with the improvements, the Hubsan X4 H107L is probably in the middle of the pack as far as it’s crash resistance. Dimensions:(3.15 x 3.15 x 0.98)” / (8 x 8 x 2.5)cm (L x W x H). Weight: 502 g / 17.71 oz. Remote Control Battery: 4 x AAA. Main Rotor Diameter: 2.17″ / 55 mm. If you are a beginner in this drone matter, check out our “drones for beginners” list.